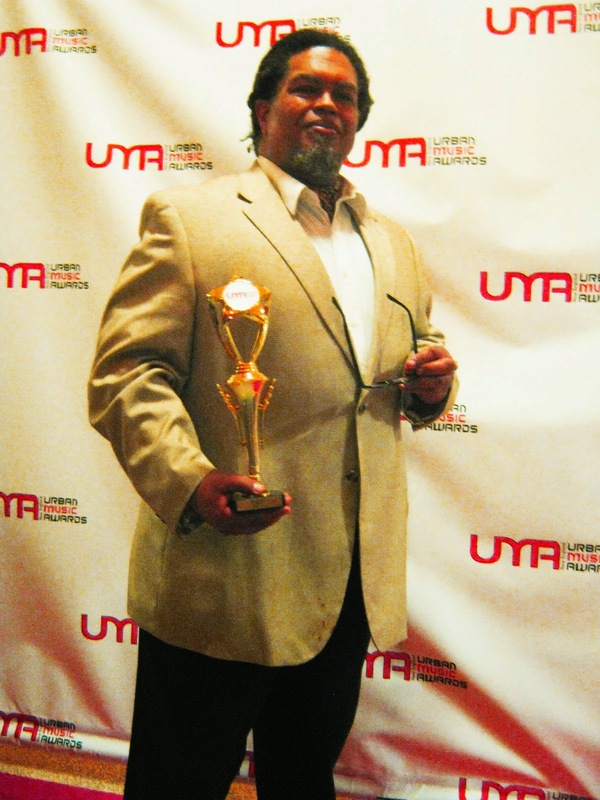 "Best Male Jazz" 2014 New England Urban Music Awards - The Groovalottos Keyboard player wins!!! Third win in even year cycle for 'NDN Jazz' artist. Competition particularly stiff this year. BOSTON- Sunday, April 27, 2014 The Hibernian Hall auditorium erupted with applause as Mwalim DaPhunkee Professor (Morgan James Peters) took to the stage to accept his "Best Male Jazz" award at the 9th Annual Urban Music Awards, followed by a performance of his international hit song, "Just Is.." for an enthusiastic audience of over 200 people. A previous winner, in 2010 and 2012 in the same category, this yeas competition was particularly stiff with regional jazz festival favorites, Elan Troutman, Walter Beasley and Andre Ward as nominees in the same category. Mwalim's latest album, "Awakened By A Noon Day Sun" (LMMGM/ Spirit Wind Records, 2014) has been attracting the attention of jazz as well as Native American radio stations and formatted shows with his signature 'NDN Jazz' style. A Mashpee Wampanoag, Mwalim points to the melodic structure and style of Eastern Native American songs as a significant influence on his songwriting and composition. Mwalim is a tenured professor of English and the Director of Black Studies at UMass Dartmouth as well as a multi-award-winning playwright. 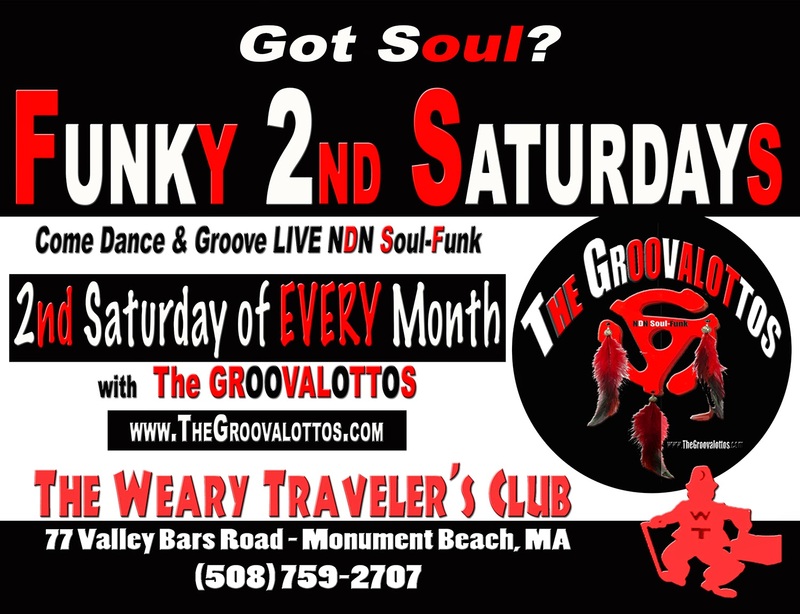 He is also the keyboard player and a singer with the regional soul-funk band, The Groovalottos who perform at the Weary Traveler's Club in Monument Beach on the second Saturday of each month. The ceremony was packed with a literal who's who of musicians, singers, producers, promoters, and radio personalities of New England's urban music professionals; drawing from Connecticut, Rhode Island, New Hampshire, Vermont, Main and Massachusetts.Qualifying nominees are voted on by the general public on-line. According to New England Urban Music Award officials, this years award drew votes from around the world including Indonesia, Japan, Germany, Nigeria, Senegal, the U.K., and the West Indies. ROXBURY - the 2014 New England Urban Music Awards will feature a performance by The GROOVALOTTOS keyboardist, Mwalim DaPhunkee Professor. Mwalim was the winner of the 'Best Male Jazz' category in 2010 and 2012 and he is a nominee this year in the same category. 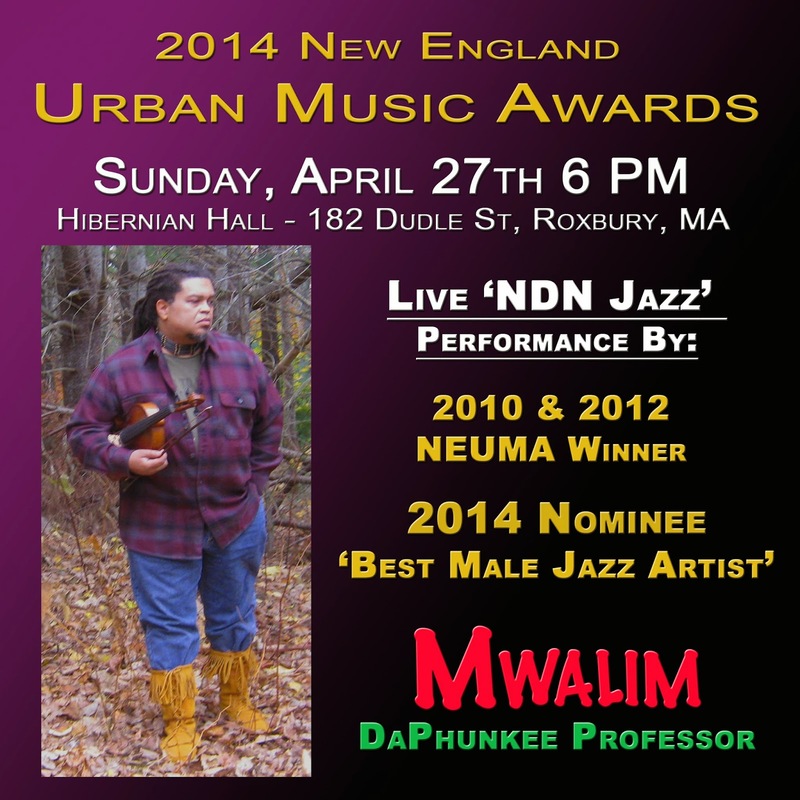 ROXBURY - It was announced on Tuesday, April 1 that Mwalim DaPhunkee Professor became a nominee for "Best Male Jazz" artist in the 8th Annual New England Urban Music Awards. They keyboardist and vocalist from The GROOVALOTTOS' latest album, "Awakened By A Noon Day Sun" with the instrumental hit single "The Trading Post" has been making it's way onto jazz, urban and Native American radio stations throughout the USA and Canada. The GROOVALOTTOS in rehearsal with no microphones!! The pure, uncut, raw soul and funk from the basement! !